Jessie is a kannada language romantic horror film written and directed by Pawan Wadeyar. jessie kannada film is produced by Kanakapura Srinivas & Srikanth. this movie telling triangular love story between film stars Dhananjay, Parul Yadav and Raghu Mukherjee. Avinash, Chikkanna, Sadhukokila, Sumalatha, Sudha Belavadi are also acted in this movie. The music is composed by Anoop Seelin and cinematography is by Arul Somasundaram. 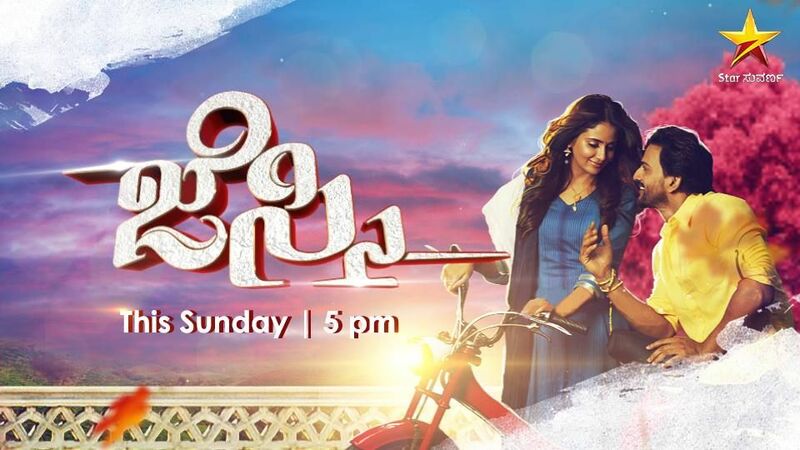 Jessie, which is all set to have its premier in small screen on Tomorrow (Sunday-26.03.2017) at 5.00 PM will surely be a treat to watch for the audience. suvarna is the kannada general entertainment channel from star network. they are placed at 3rd positions as per latest barc trp ratings. jessie kannada movie satellite rights purchased by suvarna and they are premiering the movie. this film released on 25 March 2016 and after 1 year appearing in mini screen. Dhananjay as Jessie playing the main character in this film, Parul Yadav as Nandini another major role. Raghu Mukherjee as Shyam sundar and Sumalatha Ambareesh as Jessie’s mother in other star cast. we will update more kannada language satellite rights here, you can subscribe us for all latest updates.